"Preparing for a Consumer-Driven Genomic Age"
Have you tried FamilySearch Beta? FamilySearch has announced an expanded array of free online learning opportunities for genealogists. Among other efforts FamilySearch recently "worked with the Mid-Continent Public Library in Independence, Missouri to record and post 12 classes. 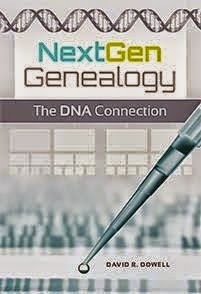 These classes are available on both FamilySearch.org and the Midwest Genealogy Center’s site. Such collaboration benefits everyone involved, according to Darin Hakes with FamilySearch Community Services." This blogger is honored to be following Schultz as Chair of the Genealogy Committee of the History Section of the American Library Association.